The broadcasting watchdog, Nigeria Broadcasting Commission,(NBC) has slammed a Not To Be Broadcast (NTBB)warning against a recent song by rapper Olamide entitled, Science Student. The notification proscribing the song from being broadcast was sent to all radio and television stations across the country during the week. Also, the Head of Public Affairs, NBC, Hajia Maimuna Jimada confirmed NBC’s stand on the trending song to Saturday Tribune on Wednesday, stating that while the regulatory body did not ban the song outrightly, it considered it unfit for broadcast. Asked about the context in which the song was declared unlawful, Jimada, hinted on the profligate mention and the subtle promotion of illegal drugs. She also issued standing warning to all broadcasting corporations within its jurisdiction. Often called King of the Street, Olamide engages his own indigenous tongue in what may be considered a subtle and metaphorical description of the different ways in which drugs and substance are being abused in the streets of Lagos. He mention the use of prohibited drugs such as Codeine, Tramadol, illicit substances such as Monkey tail, Skushi, Shisha, Alomoterming, referring to those who use and mix them as Science Students. This classical attribution follows what science students do in the laboratory, which is mixing chemicals. 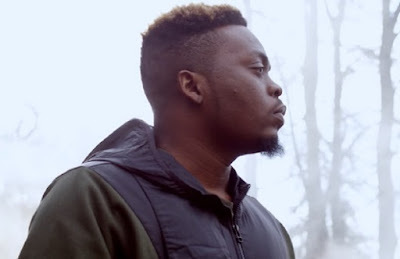 Though, Olamide appears to reveal these activities in his song using expressions such as ashiri eko otituloju ewe, ashiritu, (the revealing of secrets), by singing about drugs and judging by the general ambience, not to mention the kind of visuals that would entail this song.